We've got one more season left to go for Fuller House, with Netflix recently ordering a fifth and final season. Continuing the story established by Full House, almost all of the prominent cast members returned to the revival for multiple appearances. However, one particular member of the Tanner family was noticeably absent, with Michelle nowhere to be found. 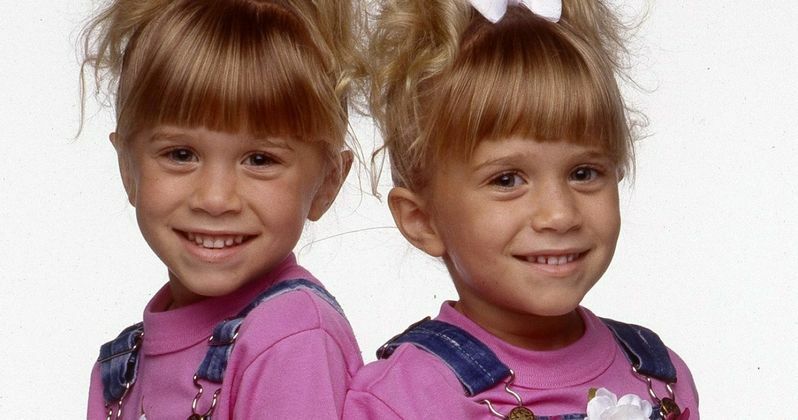 Portrayed by Mary-Kate and Ashley Olsen on the original series, the character was not featured in the first four seasons of Fuller House, as neither Olsen twin was interested in reprising the role. Although the identical siblings have had some time to change their mind and at least consider a cameo appearance, Candace Cameron Bure says not to count on ever seeing Michelle physically appear. "You heard it from me first: They will never come back! They are never coming back on the show! They don't want to be on the show. The answer's no!" The other children in the Tanner family, D.J. (Bure) and Stephanie (Jodie Sweetin), both came onto Fuller House in lead roles. Andrea Barber also reprised the role of Kimmy Gibbler, with the character moving into the Tanner household at the start of the series. The pilot episode had a near-complete reunion of the entire cast, as it featured Danny Tanner (Bob Saget), Joey Gladstone (Dave Coulier), Jesse Katsopolis (John Stamos), Becky Katsopolis (Lori Loughlin), and even Nicky and Alex (Black and Dylan Tuomy-Wilhoit). Other characters from the original series have appeared as well, but the Olsen twins never had so much as a cameo. Despite the Olsens opting not to return, Michelle Tanner's absence has been addressed at various points in the show. It's explained that the character is not around because she lives on the opposite side of the country in New York City, focusing on her fashion empire. Of course, this is a tongue-in-cheek reference to the real-life careers of the Olsen twins, who've departed from acting to focus on fashion. While it's possible Michelle could be referenced again in the upcoming final season, don't expect to see the character physically appear on-screen. Fuller House turned out to be a critical hit, earning some recognition at Teen Choice Awards, the People's Choice Awards, the Kids' Choice Awards, and even the Primetime Emmy Awards. Running for four seasons can still be considered a success for the series, as many Netflix originals don't even last that long. Up until recently, it was unclear if the show would even come back for a fifth season on the streaming service. Fans were then given the bittersweet news that the show was renewed for season 5, but that it would also be the final season of the show. Bob Saget has recently said that the outpouring of fan support could help save Fuller House, bringing it back beyond season 5. However, as of now, Netflix has not altered their plans for season 5 to serve as the final season for the show. A release date has not yet been revealed. This information comes to us from US Weekly.